You’ll find most lifestyle websites or blogs or lifestyle experts asking you to always ‘live in the present moment’. Everybody advises to ‘sit back and chill’. While enjoying the moment with little or no plans for the future does sound good and frankly in some cases and scenarios is the right way to go, it isn’t advisable always. The attitude of taking life as it comes can back fire in the worst-case-scenarios if we are careless. However, as many claim to go as the tide takes them, they are soon lost in the ocean of life’s struggles. This is why it is always best to have a plan. I came across a nice phrase that goes like: Plan out your work and work out your plan. How motivating! 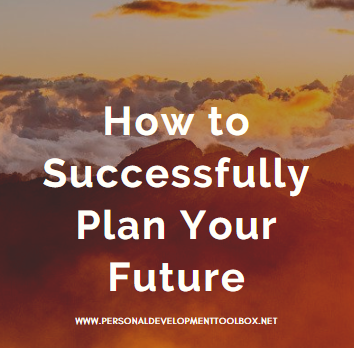 Let me share a few tips with you on how you can effectively and successfully plan your future and then work towards your plan. Contemplate: You need to sit back and mull over your life and goals. Take some time out from your busy schedule for yourself. Go to a secluded, lonely place and think undisturbed. Think about what your life is now and where you’d want to be. Think about what you like doing and what would get you the resources (read: the moolah) to go through life. Think everything through and make a rational decision about what is your goal in life. Make notes: Write down your goal on a piece of paper and stick it on your dresser or on the ceiling above your bed so that it’s the first thing you see on waking up. If you don’t take it seriously, you’re doing it wrong. It is essential to remind ourselves every morning about what we want from life as it helps us stick to our plan. Think of a motivational mission phrase: Think about your aspirations for the future. And try and make up a motivational statement or phrase that you can keep repeating every time you feel down under. I like to call it the motivational mission phrase! It makes it a little bit more exciting. Revisit this statement every time you feel discouraged, it will immediately pep up your spirits. Be Positive: Don’t let any negativity affect your aspirations. Every time you fail a step that you had planned out, try harder next time. Or adapt it as per your wishes. But keep in mind that you have to remind yourself of what you are chasing and hence you must not lose motivation. It is quite necessary to understand that you will face struggles in your life and the best way to overcome them is by picturing the outcome you desire. Prioritise well: Live in the moment, but also keep the future high up on your priority list. While you are living in the present, make sure use the moment to help motivate and make you work harder. Enjoy life and do not stress about not being able to make the most of it. That’s not the motive! You must decide what you want to do ‘in’ your life, while also keeping in mind what you want to do ‘with’ your life. Keep your goal and dreams in mind whatever you do. Don’t be lazy: Nobody likes a monotonous life. So don’t be lazy to work harder and faster. Think of it as a flight of stairs – if you spend a lot of time on one step you’ll only get more bored and frustrated; and the faster you move upward, the more exciting the climb gets! So while you enjoy life, make sure to only move upwards. If you have a goal in mind, soon enough you’ll be on the top!